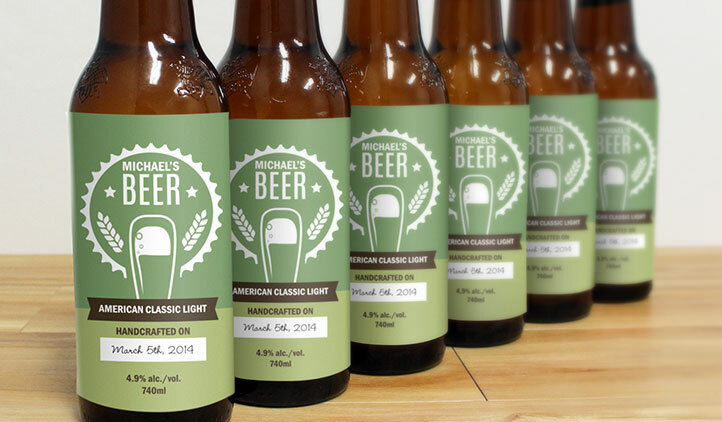 Create quality custom beer labels for your craft beer. Rookie crafter or veteran brewmaster, your beer-making history matters not. We just want to make sure your homebrew looks as good as it tastes. Upload your own artwork or customize our templates. Its easy, fast and the labels are removable so your bottles can be used again. Get the world's #1 beer kit at Mr. Beer. 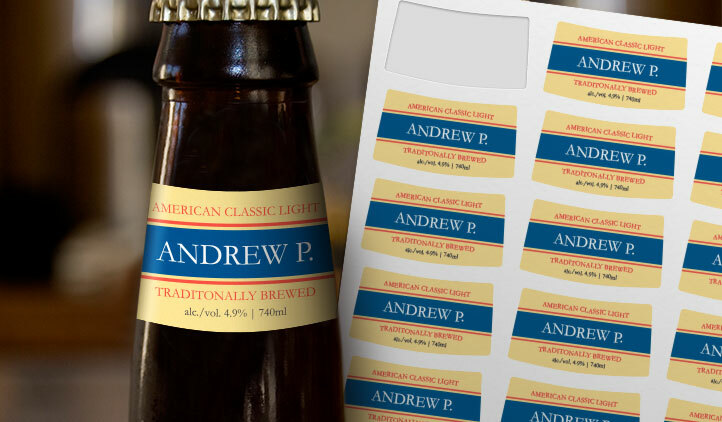 With StickerYou, making your own personalized bottle labels has never been easier. You can customize a variety of pre-made templates, or upload your own design to our website. 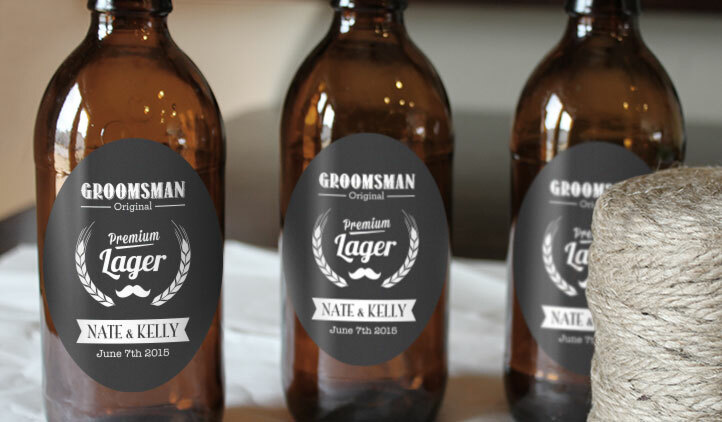 Craft beer with custom beer labels adds a creative touch to any party or event. 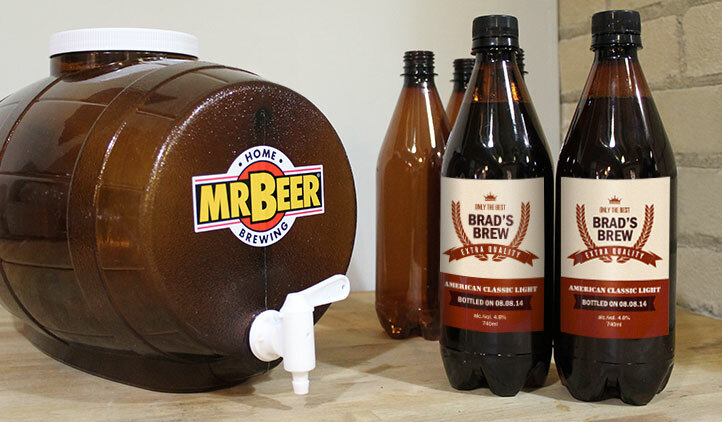 They are also a great addition to any DIY beer making kits from Mr.Beer. StickerYou and Mr.Beer worked diligently together to find out what beer-brewers wanted most in custom labels and found out that removable mess-free labels were important to those who do their own bottling. So StickerYou created custom vinyl removable beer labels for Mr. Beer makers. We both have home brewers at heart and want you to have the best bottle labels out there! Creating your own custom beer labels is both fun and functional. By adding personalized bottle labels, you can differentiate between different batches, flavors and ingredients. An interesting, customized label will also help your craft beer stand out among other beer labels and add a personal touch to your beer. Brewing your own beer is an art. So is creating your own beer label. After all, if you're going to spend the time making beer from scratch, you want it to taste good, AND look good. Vinyl labels are the absolute best choice when creating beer bottle labels. The material has a glossy shine which gives them a high-quality appearance. Custom vinyl labels hold ink well, are waterproof, heat and cold resistant, and can be applied bubble free. The vinyl labels use a mild adhesive which sticks really well, but can be removed cleanly and easily from glass or plastic bottles. This means beer bottles can be reused again and again. A perfect tool for brewers everywhere. Home made craft beer is awesome, but home made craft beer with a wicked custom made label is even better. Creative packaging is key when it comes to craft beers (its only as good as it looks), which is why StickerYou has templates and designs specifically for your own deliciousness in a bottle. Yes, we are talking about craft beer labels. Craft brewers and homebrewers, rejoice! StickerYou keg labels are the perfect customizable, affordable, durable, removable, and even writable solution for you to brand your brew with style. With StickerYou, the label design possibilities are nearly endless. So to get you started, we have some cursory information which you may want to include in your new custom beer labels. to give them a more professional look.